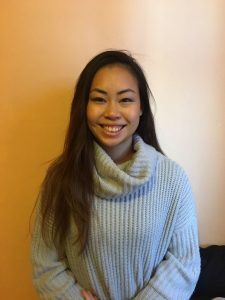 Eileen graduated from Curtin University in Perth, Western Australia with a Bachelor of Science (Physiotherapy) and has since worked in several private practices and hospitals in Perth. She has gained valuable experience not only in treating various musculoskeletal conditions, but also in treating people with spinal cord and brain injury, stroke, children with cerebral palsy and global developmental delay. Eileen has completed a course in dry needling, and completed her Cert IV and Diploma in Clinical Pilates Instruction for Rehabilitation- an area she is very passionate about. She focuses on using Pilates as a way of teaching people how to move their body and spine to explore new movement patterns that may provide pain relief and challenge the body! At her previous role, she saw a high percentage of patients with tendinopathy such as plantar fasciopathy, Achilles tendinopathy, Rotator cuff tendinopathy, as well as common lower back, neck pain and knee, shoulder and hip pain, and many other conditions. Eileen will be here for 2 years on the working visa, to travel around and explore London and the rest of Europe, but at the same time to learn from her colleagues here and to continue to develop her skills as a physiotherapist. In her spare time, Eileen loves besides travelling and chasing sunshine and beautiful sunsets. As well as physiotherapy, she also loves exploring different types of food, restaurants and cafes. Eileen likes to try different forms of exercise to expand her movement vocabulary, from martial arts and high intensity training, to Trapeze, Aerial yoga, and her absolute favourite- Acroyoga!